I’m at the red dot. 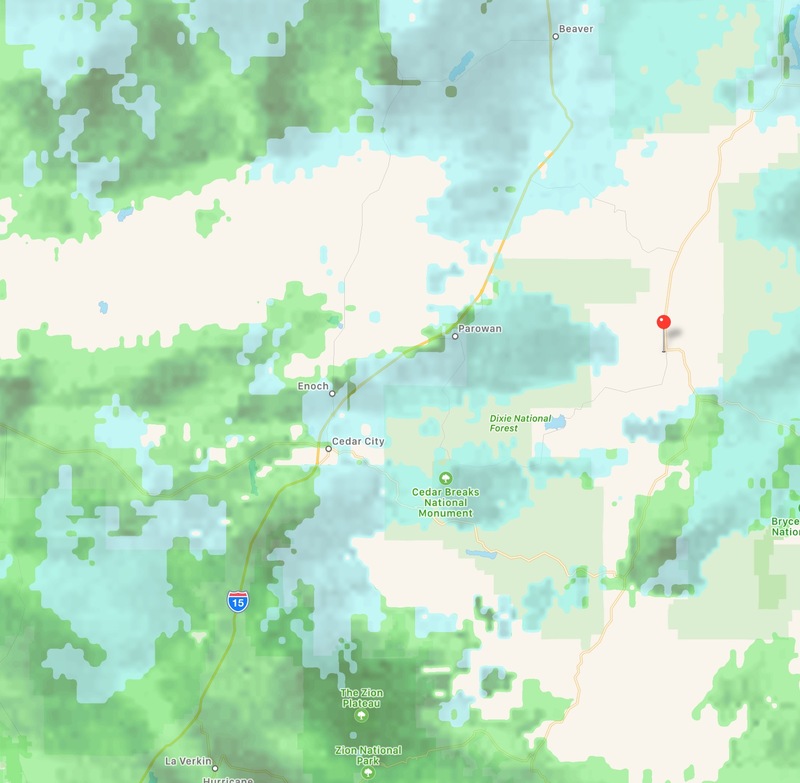 I’m trying to get to Cedar City and west from there. Yuck.